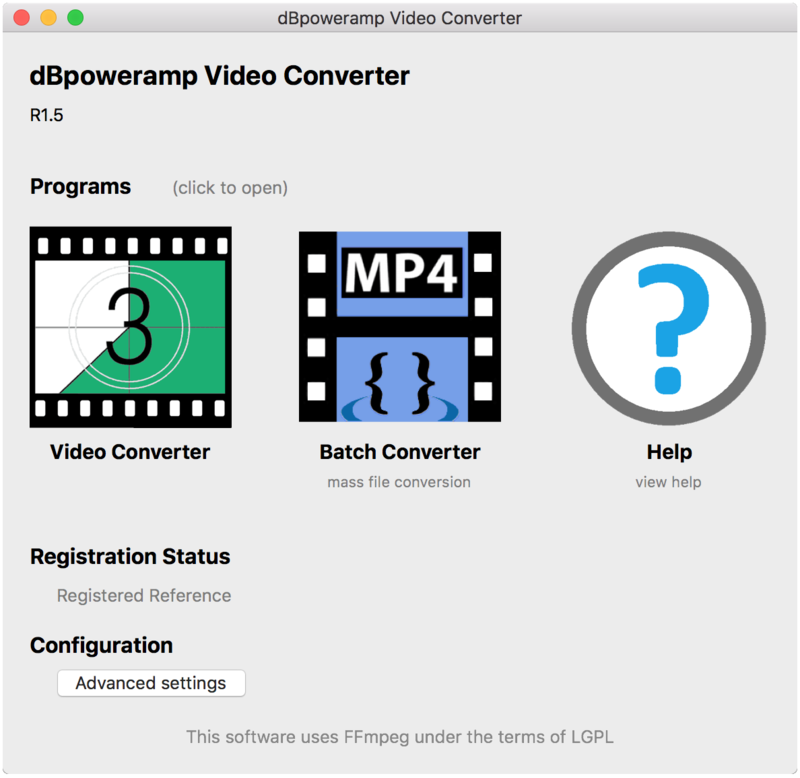 With dBpoweramp video conversion is effortless, all major formats are supported including: mp4, avi, wmv (Windows Media Video), mov, webm, vp9, real video, flash. Process the video, such as resizing whilst converting, or batch convert folders of old videos in a few clicks. dBpoweramp is compatible with OS X Yosemite or newer. dBpoweramp is free from spyware, malware and trojans, no other programs are bundled. At anytime uninstall by selecting Programs and Features in the Control Panel. Download the Video Converter DMG installer to your computer, double click to open, when presented drag the dBpoweramp Video Converter over to the applications icon. Once installed find dBpoweramp Video Converter in Launchpad. Encode to two formats simultaneously. Encode multiple video files as one video.